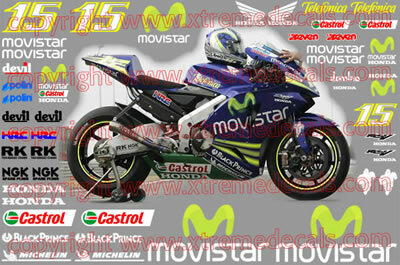 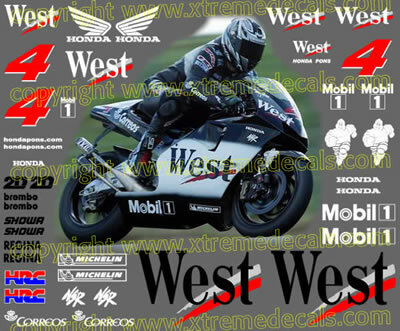 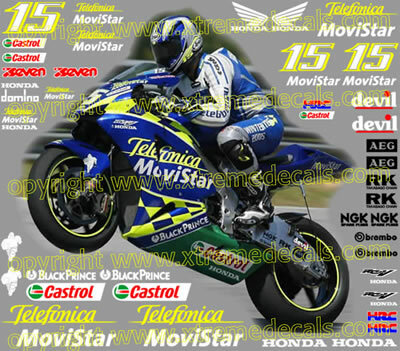 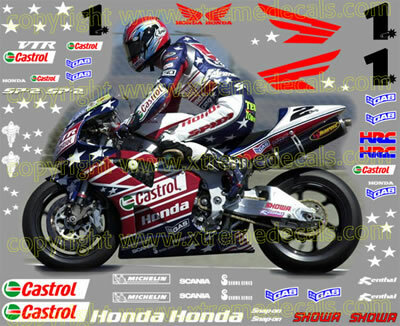 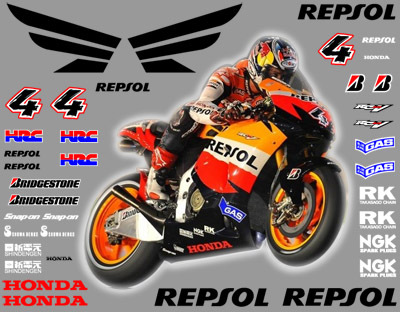 The decals will fit Honda:- CBR600F (CBR 600 F, CBR600 F, CBR 600F) of the years 1991, 1992, 1993, 1994, 1995, 1996, 1997, 1998, 1999, 2000, 2001, 2002, 2003, 2004, 2005 and 2006 - CBR600FS Sport (CBR600F S, CBR 600 FS, CBR600 FS, CBR 600FS) of the years 2001, 2002 and 2003- CBR600RR (CBR 600RR, CBR600 RR, CBR 600 RR) of the years 2003, 2004, 2005 and 2006 - CBR900RR (CBR 900RR, CBR900 RR, CBR 900 RR) Fireblade of the years 1992, 1993, 1994, 1995, 1996, 1997, 1998 and 1999- CBR900RR (CBR 900RR, CBR900 RR, CBR 900 RR, 929) Fireblade of the years 2000 and 200- CBR900RR (CBR 900RR, CBR900 RR, CBR 900 RR, 954) Fireblade of the years 2002 and 2003- VTR1000F (VTR 1000F, VTR1000 F, VTR 1000 F) Firestorm of the years 1997, 1998, 1999, 2000, 2001, 2002, 2003, 2004, 2005 and 2006 - VTR1000 SP-1 (VTR1000 SP1, VTR1000SP1, VTR 1000 SP-1, VTR 1000SP1, VTR 1000SP1, VTR 1000 SP-1, RC51, RC 51) of the years 2000 and 2001- VTR1000 SP-2 (VTR1000 SP2, VTR1000SP2, VTR 1000 SP-2, VTR 1000SP2, VTR 1000SP2, VTR 1000 SP-2, RC52, RC 52) of the years 2002, 2003, 2004, 2005 and 2006 - CBR1000RR (CBR 1000 RR, CBR1000 RR, CBR 1000RR, 1000 CBR RR) Fireblade of the years 2004, 2005 and 2006..and can be easily adjusted to fit any other bike models. 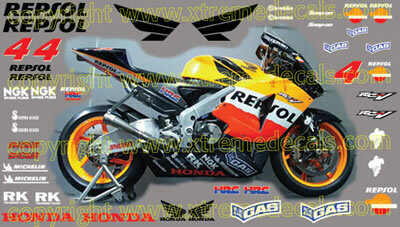 All single stickers and kits listed below are made to be used on Honda:- CBR600F (CBR 600 F, CBR600 F, CBR 600F) of the years 1991, 1992, 1993, 1994, 1995, 1996, 1997, 1998, 1999, 2000, 2001, 2002, 2003, 2004, 2005 and 2006- CBR600RR (CBR 600RR, CBR600 RR, CBR 600 RR) of the years 2003, 2004, 2005 and 2006- VTR1000F (VTR 1000F, VTR1000 F, VTR 1000 F) Firestorm of the years 1997, 1998, 1999, 2000, 2001, 2002, 2003, 2004, 2005 and 2006- VTR1000 SP-1 (VTR1000 SP1, VTR1000SP1, VTR 1000 SP-1, VTR 1000SP1, VTR 1000SP1, VTR 1000 SP-1, RC51, RC 51) of the years 2000 and 2001 - VTR1000 SP-2 (VTR1000 SP2, VTR1000SP2, VTR 1000 SP-2, VTR 1000SP2, VTR 1000SP2, VTR 1000 SP-2, RC52, RC 52) of the years 2002, 2003, 2004, 2005 and 2006- CBR1000RR (CBR 1000 RR, CBR1000 RR, CBR 1000RR, 1000 CBR RR) Fireblade of the years 2004, 2005 and 2006.You can easily adjust them to fit any other bike models. 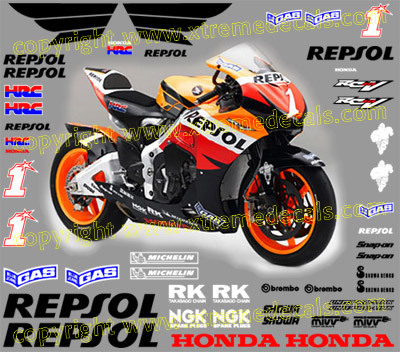 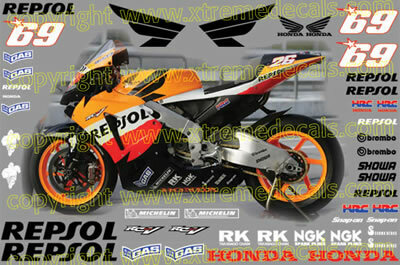 The decals will fit Honda CBR600F (CBR 600 F, CBR600 F, CBR 600F) , CBR600FS Sport (CBR600F S, CBR 600 FS, CBR600 FS, CBR 600FS) , CBR600RR (CBR 600RR, CBR600 RR, CBR 600 RR) , CBR900RR (CBR 900RR, CBR900 RR, CBR 900 RR) Fireblade, CBR900RR (CBR 900RR, CBR900 RR, CBR 900 RR, 929) Fireblade, CBR900RR (CBR 900RR, CBR900 RR, CBR 900 RR, 954) Fireblade, VTR1000 SP-1 (VTR1000 SP1, VTR1000SP1, VTR 1000 SP-1, VTR 1000SP1, VTR 1000SP1, VTR 1000 SP-1, RC51, RC 51) , VTR1000 SP-2 (VTR1000 SP2, VTR1000SP2, VTR 1000 SP-2, VTR 1000SP2, VTR 1000SP2, VTR 1000 SP-2, RC52, RC 52) and CBR1000RR (CBR 1000 RR, CBR1000 RR, CBR 1000RR, 1000 CBR RR) Fireblade, of the years 1991, 1992, 1993, 1994, 1995, 1996, 1997, 1998, 1999, 2000, 2001, 2002, 2003, 2004 and 2005. 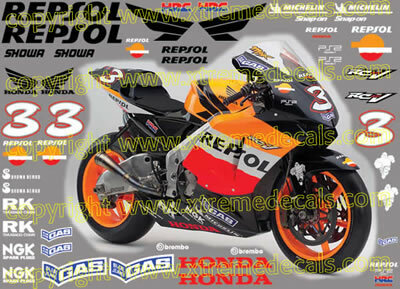 You can easily adjust them to fit any other bike models. 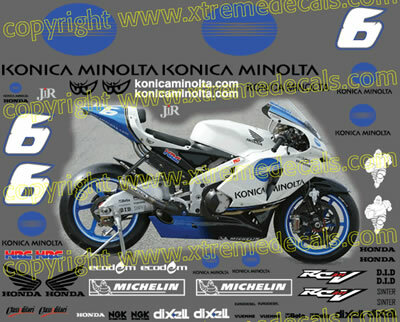 2 x Large Wings kit . 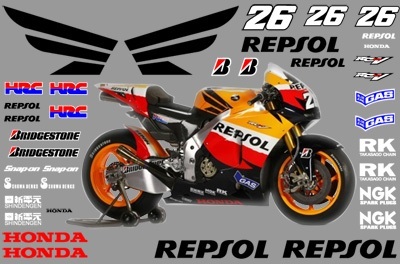 Honda CBR600RR (CBR 600RR, CBR600 RR, CBR 600 RR) and CBR1000RR (CBR 1000 RR, CBR1000 RR, CBR 1000RR, 1000 CBR RR) Fireblade, of the years 2003, 2004, 2005 and 2006. 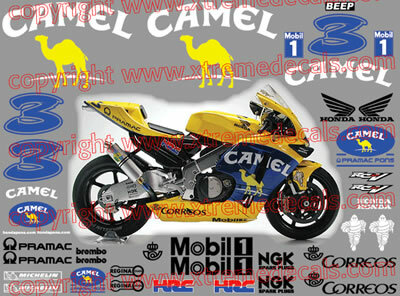 You can easily adjust them to fit any other bike models..